I don’t sit down and read books too often. I do it more so in winter than any other time of year. However, when a publisher approached me this Fall about reviewing a book by a Connecticut chocolate mogul, I said sure. 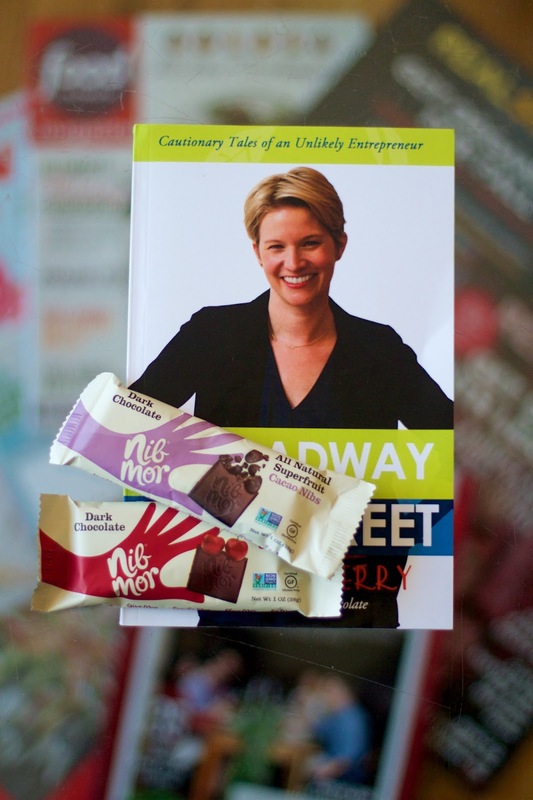 The title definitely peaked my interest - From Broadway to Wall Street: Cautionary Tales of an Unlikely Entrepreneur by Heather Terry, the founder of NibMor Chocolate. I may work in a different industry, but oh, how I could relate to this book. In 1999 Renato and I started our own business. (Check us out sometime if you like, www.rmedia.tv.) We didn’t have any formal business experience, but we knew our field and we took the leap. Over the years, we’ve learned a lot and while we’re not millionaires, we have, through hard work and skill, carved out our own happy, successful life. 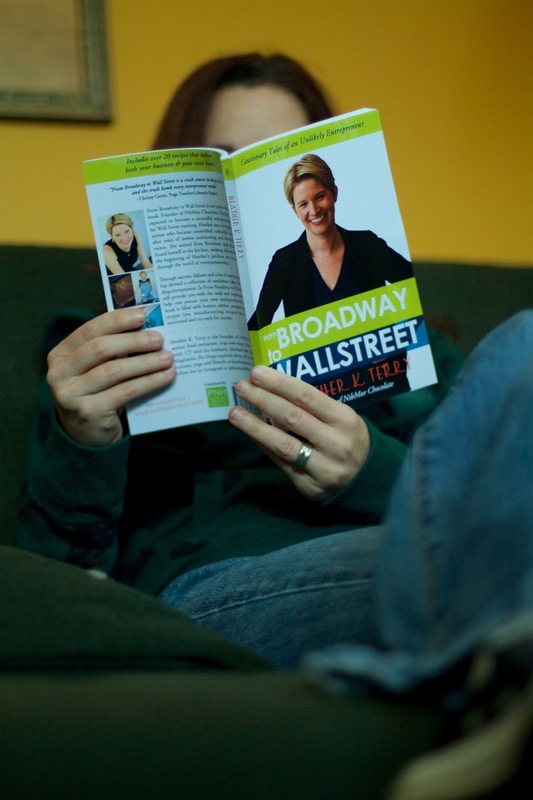 In a nutshell: Heather studied acting and had always wanted to be a Broadway actress. When her dreams and desires shifted, she was at a loss but discovered an unexpected new path. Without any business background, she started NibMor Chocolate. Her business took off and the rest is history, so to speak. This is your typical dry jargon-filled CEO business book, rather it offers some common sense insight from a passionate entrepreneur. It’s funny and written in a very conversational tone. It’s real, relatable, and I found it to be a quick read. The book shares personal stories of successes and failures, along with practical advice learned on the job. I think most of all, I appreciate her honesty. It’s nice to know everyone stumbles and fumbles and questions themselves on the journey. Plus, I love that she included recipes at the end of each chapter that piggyback on the chapter’s topic. If you’re considering going out on your own, give it a read. Read it even if you’ve already begun the journey. I think readers in all fields can appreciate and glean some practical advice from Heather’s story. P.S. 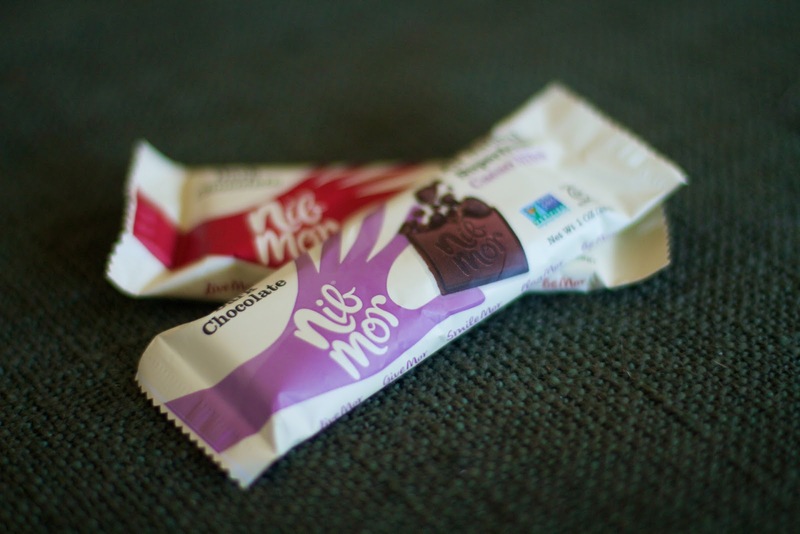 I really love NibMor chocolate. It's organic, fair trade, certified rainforest alliance, and Non-GMO project verified. About Heather K. Terry: She is the founder of NibMor chocolate, author, food enthusiast, yogi and mom. She lives in Greenwich, CT, with her husband, Michael, and daughter, Magdalena. She blogs regularly about all things chocolate, business, yoga and lifestyle at heatherkterry.com. You can follow her on Instagram at @heatherkterry. Disclosure: I received a free copy of the book and two chocolate bars from Promoting Natural Health, LLC to facilitate this review. I received no other compensation for this post and the opinions contained herein, are my own and reflect my experience with the products. Your own may differ. Also, this post contains an Amazon Affiliate link to the book, meaning I'll earn a little money if you purchase the book through the link. Love a good book review and hey...chocolate is high on my list! Books and chocolate. Now that's divine.